WHAT A BLAST FROM THE PAST AND A TRUCK YOU WILL ONLY FIND AT THE MID SOUTHS GO TO GUYS FOR TOP QUALITY SOUTHERN PRE OWNED TRUCKS....ONLY 88,000 ACTUAL MILES!!! INCREDIBLY LOW MILES...ONCE IN A BLUE MOON! 1-OWNER CLEAN CARFAX ....ALL ITS LIFE IN TENNESSEE....NO RUST HERE! 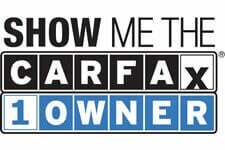 1-OWNER CLEAN CARFAX WITH A SOUTHERN HERITAGE....AND 88,000 MILES IS VIRTUALLY UNHEARD OF BUT WE HAVE YOUR TRUCK! YOU WILL BE IMPRESSED WITH THE CONIDITION OF THIS ONE....THROW AWAY YOUR BOOKS,GUIDES ETC....NO COMPS ON THIS 1. AND ONLY 88,000 ACTUAL MILES....AND THE 5.9 V8! HURRY IN OR CALL 615-859-9400 TODAY BEFORE SOMEONE GETS YOUR 2001 DODGE RAM 1500 REG CAB SLT LARAMIE 5.9 V8 WITH ONLY 88,000 MILES!! !